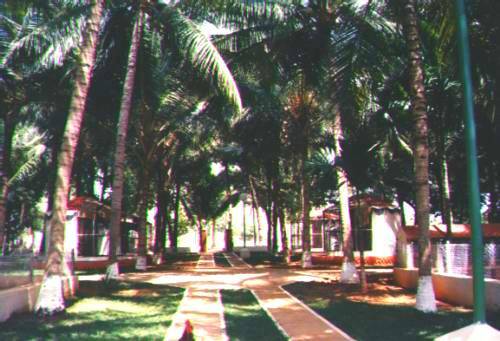 Pathway through the area of the farm where endangered local animals are housed and cared for. 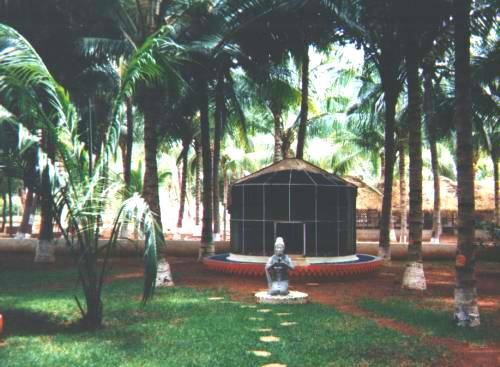 One of the large bird enclosures where native birds are raised. 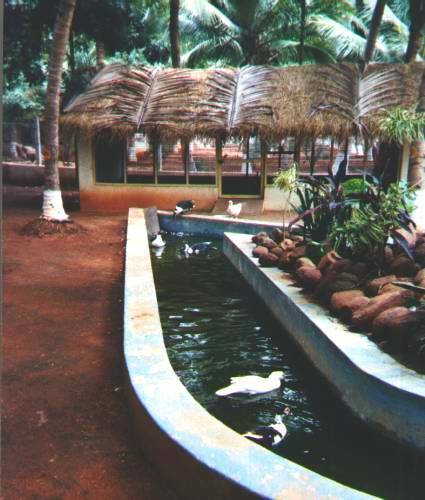 Native ducks and waterfowl swim in their own waterway. 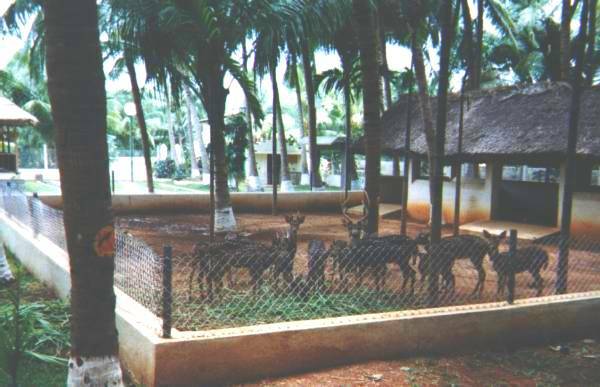 Indian deer resting in their area of the farm. 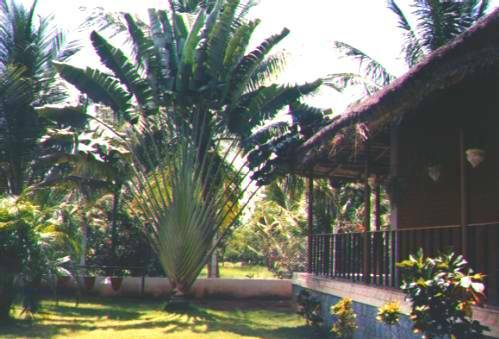 Exotic palm next to the guesthouse where distinguished guests stay alongside the wildlife. 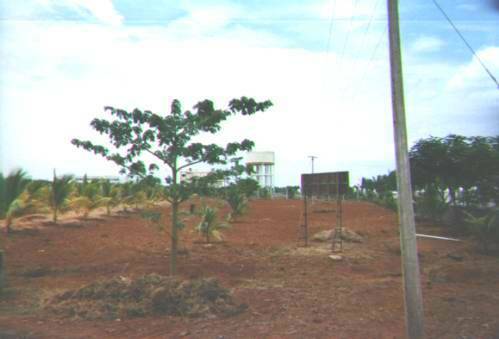 One of the farm fields with the water tower for the school in the background.